If you not read my book then this short article is helpful for understanding terms using in my research reports. 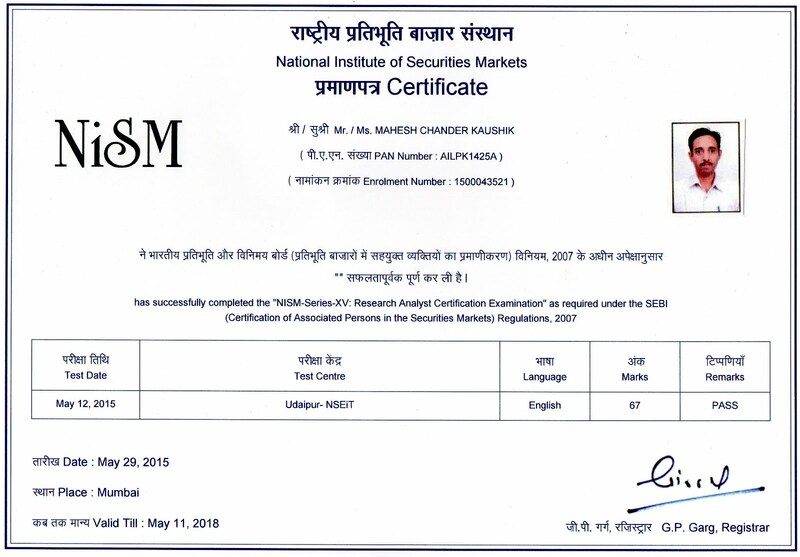 Minimum holding time in all of my research reports are one year.So use my research reports only for fundamental delivery base buying for holding period of 1-2 years, My reports are not useful for day trading and F&O trading. 1. Face Value:-Face value means your original invested money in company, As I described in chapter 8 of my book "Face value is your basic amount which invests in the company , in other words face value is your real share in the company equity capital for example if a company have 10,00,000 share of 10 rupee face value than share capital of the company is 10,00,000 X 10= 1,00,00,000 , and if you buy 50 share of this company at market price of 100 then you invest 50 X 100=50000 but your partnership in company share capital is 50 X 10=500 only , remain 4500 is given as a premium to the seller who sell his stocks to you. If you buy a stock at 3500 which face value is 1 rupee then your investment in the company is only 1 rupee remain 3499 is a premium to the seller. 2. Year high / low ratio :-I always by stocks which year high/low ratio is below 2 .If any stock is down more than 50 % from his year high then I avoid this stock. For example year high of stock A is 256.55 year low is 96 and the stock traded at 108.55 then I avoid this stock because good companies never down more than 50 % within a year until something is wrong. In opposite, a stock is trading more than 100 % from year low than I avoid it for example company B is traded at 56 and year high of this company is 65.25 year low is 19.55 then I not buy it because I think this stock is already running very fast and it is better to wait market fall. 3. Promoters Holding:-If promoter holding reducing in last one to four quarters then I think something is wrong and avoid this type of stock because promoters are selling their stocks to retail investors but if promoters increase their holding than I think this is good because promoters knew his company fundamentals very well. 4.BASE PRICE: - Base price of a stock is an average price of his last 3 years closing price . Base price shows the real fair value price of stock which market gives him. In other words, we say the base price means 3 years DMA of stock. 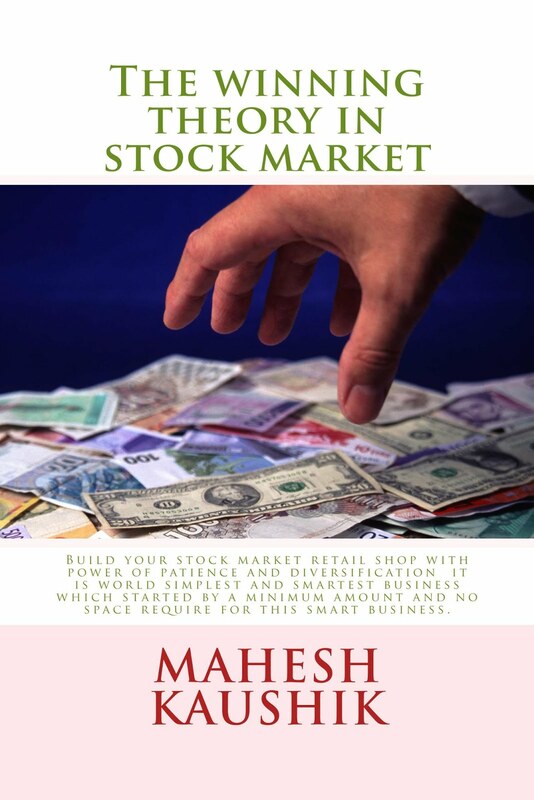 In the calculation of the base price do not forget to adjust bonus and stock split ( Read my Book for more detail of this term). 5.Net sale per share per year:- When yearly net sales data (net income or net revenue) of any company is divided with total number of shares then this ratio is called NET SALE PER SHARE PER YEAR.This is the Fundamental target price of a stock so if your stock price is lower from this then your stock valuation is good and if CMP is higher from it then the stock is traded at a higher valuation”. Buy when the market price of a stock is below from his one year net revenue per share. And sell when stock current market price cross one year net revenue per share. Sir, How to calculate Net sale per share per year from bseindia.com or moneycontrol.com.? when your hindi publication is launching ? Sir I would like to translate your book into Telugu. I am a business Journalist for about 25 years and I have translating science history and other nonfiction books. Will you permit me? How i buy the same book please let me know the same. sir i am confusing how i buy the same if i want to buy (249.00 to buy Available for download now) where and how i download the same in which format how i read the same. What a simplisitic explanation to all the lay men like me. Keep up the great work Mahesh ji. Dear Mahesh, i have just found u while i was searching for some blogs. Initially i did not believe your theory of buying penny shares. But after calculating the present value of your recommended stocks since May 2013, i found that total average performance of these stocks is around 97-98% and among them are hidden some great multi beggars. The work you have done is really remarkable and appreciable. I also like to appreciate your honesty and simplicity and the way you calculate the appropriate value of a stock. I have not found anybody doing this in such an innovative way. Though i am a beginner and learning the things, your work and really impressed me. i have also read some of your articles. Though there are some grammar mistakes, they are quite knowledgeable. The best thing is that you have got an edge in penny shares. Thanks for sharing such nice job on net. Dear Mahesh, I am new in this field. But for a few days i have been spending time in reading some good blogs. While searching them, i found your blog as well. Initially i did not believe what you say. But once i read your 'Chandu' story, i thought to continue it and calculated the present price of your recommended stocks. The result is astonishing. The average profit is 97-98% included notional dividend. Your work is really remarkable and appreciable. I found among them were really some multi-beggars. I also want to appreciate the way, the simplicity and humbleness with which you write your blog. Thanks and keep on doing it.